Morning devotions as a family? Let’s be honest, I have trouble finding time alone with the Lord, let alone, devotions as a family! Chances are if you are reading this post, you desire to have a more structured time in the Word with your family. But how? Mornings can be hectic times full of whining and fighting. 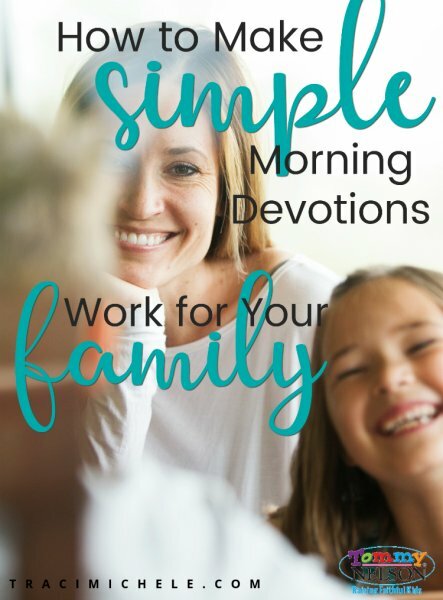 It’s tough to add family devotion time to our busy mornings, but it is possible (and beneficial). Here are five things to remember when incorporating morning devotion time into your family’s routine. Starting a new routine can be uncomfortable. Starting something new can cause some initial growing pains. Have you ever shifted your family to healthier foods? Less electronics? Just like these types of changes, starting a new routine can upset children and parents alike. But be encouraged! Children adapt to change once then know what’s expected. Don’t be afraid to try something new because of the work or pain involved. Most good things come from a little stretching outside our comfort zone. Lower your expectations of perfect. Many times, we compare what other families are doing to our own, and feel we are coming up short. Anytime comparison is involved, discontentment is on its way. Lower your expectations of perfect. God desires a pure and devoted heart. He knows that we won’t be perfect at pursuing Him, but He desires our affection and devotion (no matter how big or small). Most of the time we over complicate things. Keep it simple. Read a passage and talk about ways to apply it to your life. 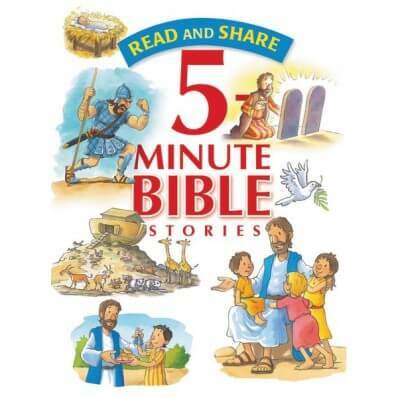 Devotional books like Read and Share 5-Minute Bible Stories would be a great asset to a young family. It guides parents and children through short, engaging Bible stories in a simple, five-minute time frame. Do what works for your family and season of life. Children (and adults) are most likely cranky before breakfast. Why not grab your morning coffee, get the children settled with their breakfast and read a passage of scripture together? Pray for the day and listen to what is on their hearts and minds. If you are in a different season of life, where children and parents are all going different directions, why not develop the same passage of scripture to read at separate times. Then, when your family is all together in one spot, talk over what each person got out of that passage. Pray for wisdom and seek His face. Like with anything, shouldn’t we be seeking the Lord for wisdom? He is the best teacher and is so gracious. Ask Him to guide you as you raise your family to honor and glorify Him. He will be there, every step of the way! What about your family? 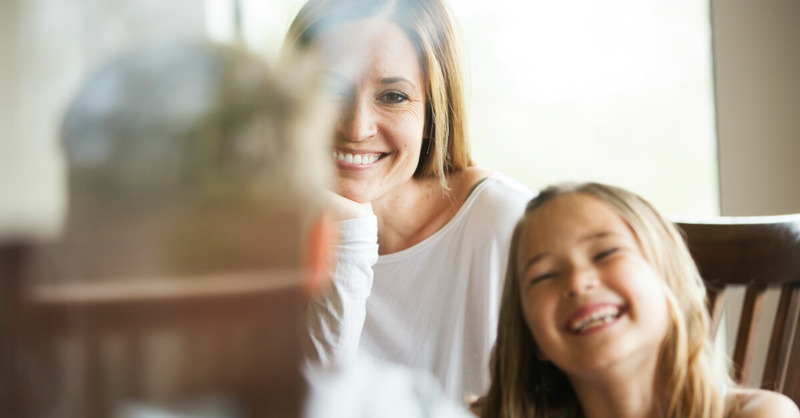 What works for you when it comes to family devotion time? Do you have a special routine that you do in the morning time? We’d love to hear about it! This entry was posted in Blog, Press, Product, Tommy Nelson and tagged Devotions, Family Devotions, Family Time, Morning Devotions, Tommy Nelson, Tommy Nelson Mommy, Traci Little by Traci Little. Bookmark the permalink.